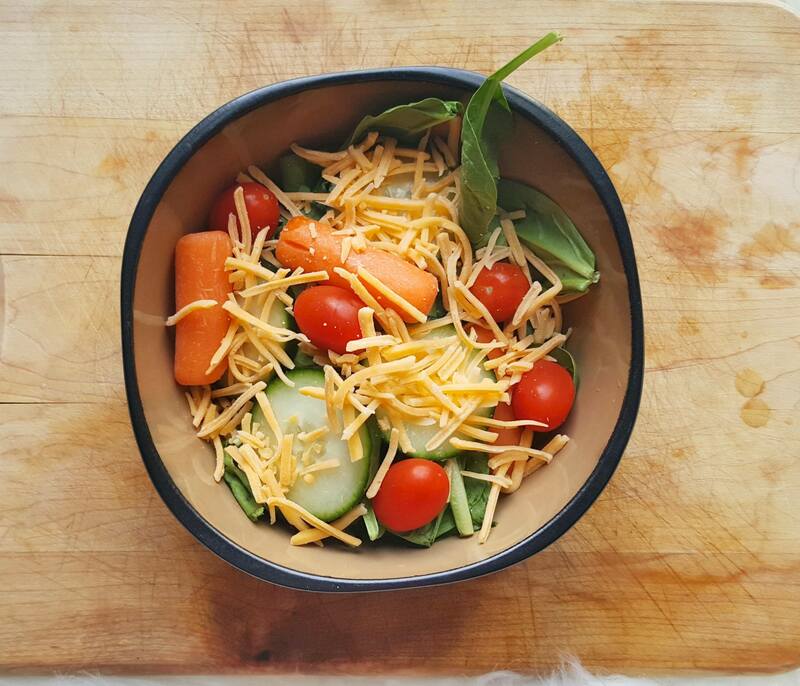 Things going on in my personal life have me battling with health-conscious choices; like eating better for you foods, using natural products and overall, live a healthier lifestyle. At Real California Milk, they believe in real food made by real families. All you have to do is simply look for the seal to ensure quality! 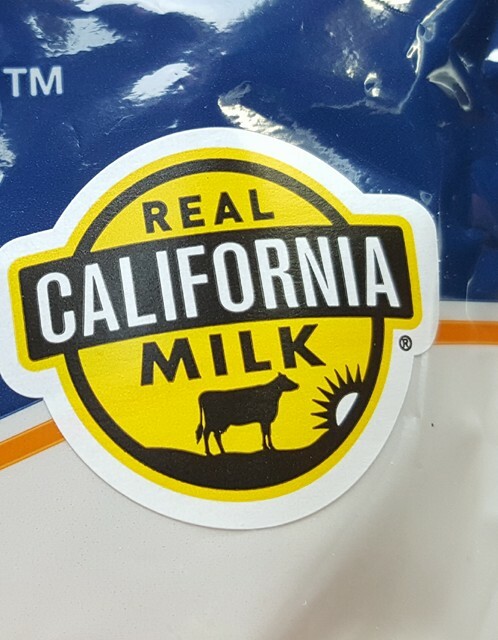 When you see their seals, you’ll feel good knowing that the product is certified as having been made with 100% Real California Milk from Real California Dairy families. Real California Milk is launching Spot the Seal; a campaign where they donate $5 to the Great American Milk Drive (up to $10k in CA and $20k to TX/FL) to help families affected by wildfires in CA and hurricanes Harvey and Irma in Texas and Florida. No purchase is necessary. All you have to do is snap a photo of the Real California Seal on a dairy product in a store and share it on social media tagging @RealCaliforniaMilk on Facebook and/or @RealCalifMilk on Instagram with the hashtag #SealsForGood. It’s that simple! I felt this close to my heart and just had to share since we had some devastating fires up here in Washington and Oregon that burned a lot of forestry, homes, and animals live’s as well. It’s heartbreaking seeing the places you love going up in flames or submerged in water, and I am truly sorry to all of those who were affected by these disasters. Now when I say get in the giving spirit this holiday season, I don’t mean to run and donate tons of money to your favorite charity. The CEOs and presidents of said charities are the ones who see most of that money anyways. IF YOU do feel like giving this holiday season, pick out a toy or 2, some warm clothing or even put together a food box and take it to your local shelter for those who are truly in need. They will surely appreciate it and you get the satisfaction and good karma of making a difference in someone’s life who needed a little extra help. If you can’t afford these things, volunteer your time to your community, pick up trash, an animal shelter, woman’s shelter, fight fires, help flood victims. There are lots of things that one can do to give back, even if it’s your time and love. I plan on donating pet supplies to a local animal shelter since I know they can always use it. 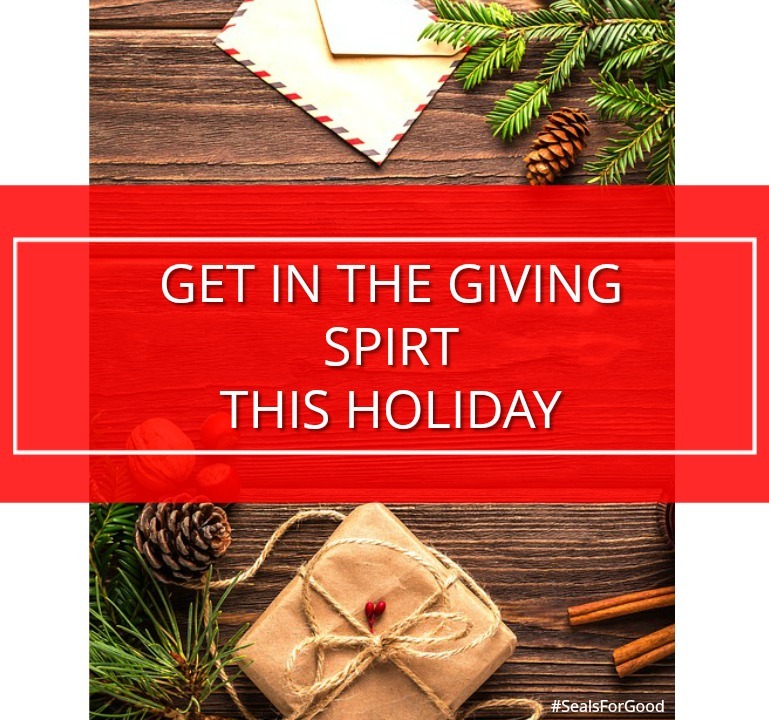 Let us know how you plan on getting in the giving spirit this holiday season. From Celebrating Holidays to Not Celebrating. Previous Post The Best Fall Sandwich: Turkey & Cranberry Grilled Cheese! Next Post Walmart Makes Planning a Party for the Holidays Easier! I love it! The holidays are the perfect time to start a tradition of giving back and keep it going all year long. We donate to our local food pantry regularly. Love it, love it, LOVE IT! It’s so important to remember to give back, especially during this time of year. Can I just say how much I love that you’re donating to the shelter? That’s going to do so much good. We drink milk, so we will be keeping an eye out for the seals, and putting on social media. This is an awesome cause! Christmas is coming up on us so quickly now! I love the idea of making a box and taking it to a local shelter, I think I might have to do that. Giving back is so important. I try to make sure my kids give back as much as possible with me and my husband. They love it. Great post! I think everyone should take this time of year to give not only to their loved ones but also those in need in their communities. Glad to know about a company that gives back, and we can also help just by taking photos and sharing. There are lots of people that needs help, sometimes a simple time or meal means a lot. I think giving back during the holidays is great. One thing I usually do, is donate food to our local food shelter. It’s a great way to give back to our community. The fires in CA are terrible especially so close to the holidays. I usually donate a small amount of food to the local food shelter too. The fires are effecting a lot of my friends. This is a really solid promotion by a great company. We just dropped off a huge box of toys to our local children’s hospital! It makes us feel so good to be sharing the holiday spirit with sick children in the hospital. 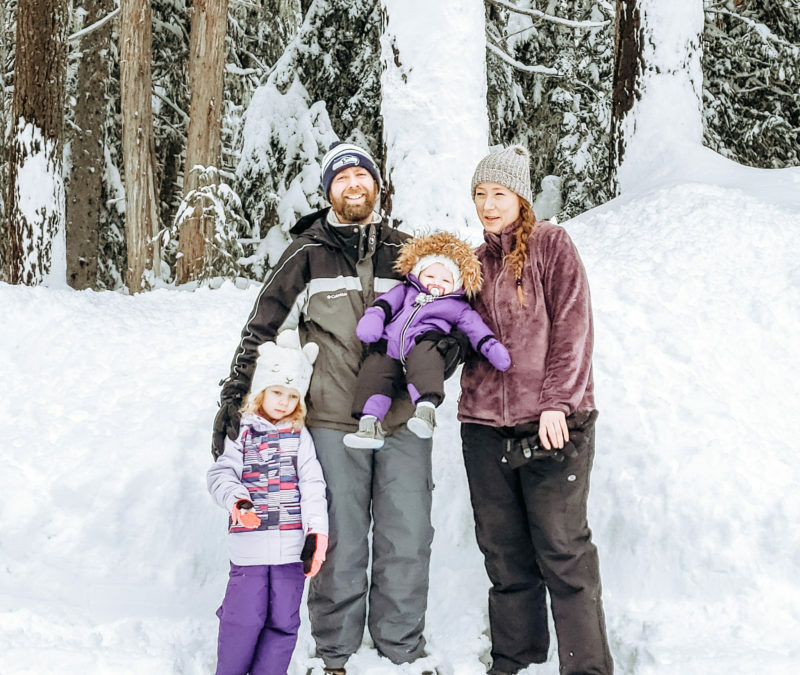 Last Christmas my husband and I decided to cancel our holiday trip and use the money to give to charities and people in need. I think we’re going to do that again this season. It’s the best way to give back all the blessings we received for the year! I just love this post. There are so many ways we can help those in need. My daughter and I actually started a diaper bank earlier this year and we’ve been able to help lots of homeless teen moms. Thank you for spreadng the message of giving. That’s a fantastic way to give back for the holidays! This year I’m doing a lot more charity work along with donating to organizations. great suggestion. so we will be keeping an eye out for the seals, and putting on social media. This is an awesome cause!